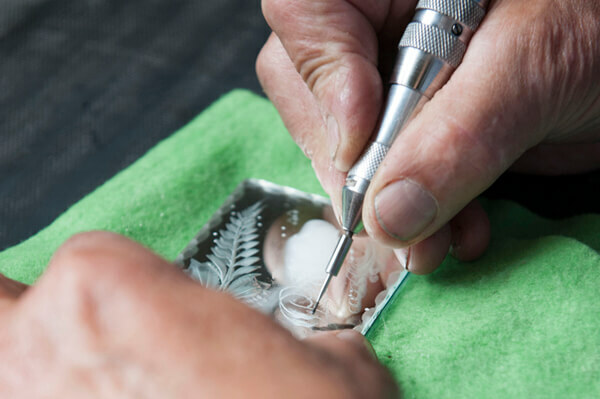 In selected pieces of OERTEL, you will find an artisanal and special type of finish – crystal engraving. The sophisticated technology of the ‘Radgravur’ comes from Bohemia, the homeland of OERTEL where it was already in use in 1869. 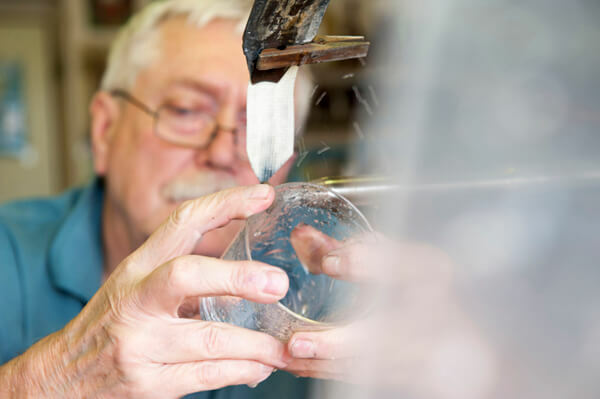 In this hand-free process, smaller and smaller copper wheels are used to cut the crystal. The engraving is particularly suitable for the production of very fine and delicate decorations. 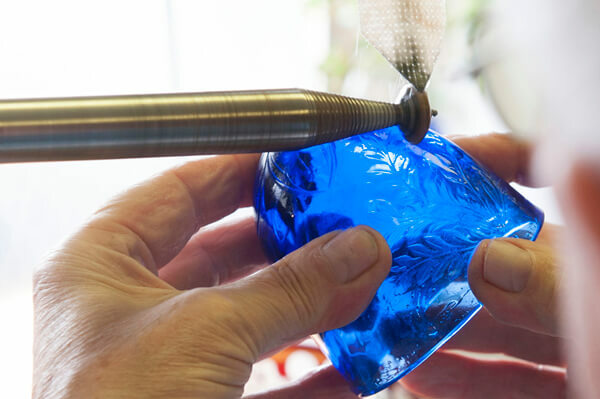 The process is extremely time-consuming and labour-intensive, and results in the production of our most precious and unique pieces. The engraver can engrave the glass surface with very fine lines that can cut or outline coats of arms, specific type-styles, ornaments and figurines. The engraver’s art allows wonderful, detailed imagery to appear on the crystal. The engraving is done without any preliminary drawing of the motif on the surface, and thus requires many years of practice and experience. Engravers must have exceptional drawing- and technical-skills. We use this wonderful technique in the manufacture of our series “Papagena”.